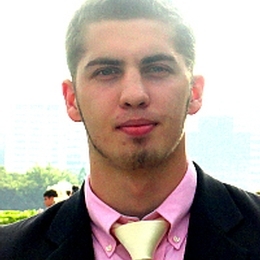 The Phi Theta Kappa Honor Society announced March 4 that Sinclair honor student Maksym Gerasimov has been named a 2014 New Century Scholar. The award is presented to fifty-one community college students from the United States, Canada, and American Samoa. The New Century Scholars Program is sponsored by The Coca-Cola Foundation, Coca-Cola Scholars Foundation, Phi Theta Kappa, and the American Association of Community Colleges. More than 1,700 students were nominated from more than 900 community colleges for recognition. Judges consider grades, leadership, activities and most importantly, how students extend their intellectual talents beyond the classroom. New Century Scholars are the highest scoring students in each state, plus one student from Canada and one additional student chosen from among one of the remaining seven sovereign nations where Phi Theta Kappa is represented internationally. Each scholar will receive a $2,000 scholarship and be presented at the American Association of College Presidents (AACC) Convention in Washington, D.C. in April. The New Century Scholars program and All-USA Community College Academic Team, which is sponsored by Follett Higher Education Group and presented by USA TODAY and Phi Theta Kappa, share a common application and together recognize outstanding community college students.